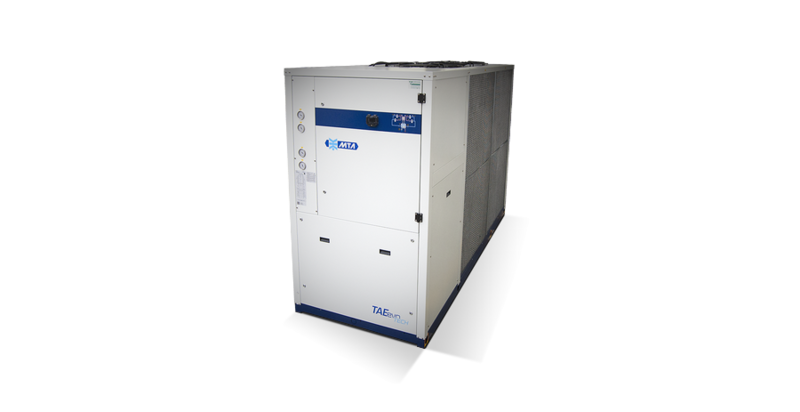 Nominal cooling capacity 7 - 210 kW. 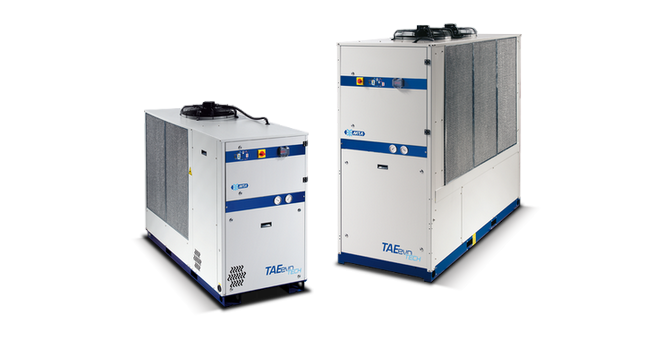 The TAEevo Tech chillers are compact units designed for use in industry, supplied with hermetic scroll compressors and the innovative finned pack evaporator installed inside the hydraulic storage tank. The dual - frequency version integrates the already wide technical equipment of the standard unit, well suited to guarantee a secure and repeatable production process, while saving you money and protecting the environment. Thanks to the wide operating limits, it can operate in pressurized hydraulic circuits or at atmospheric pressure and thanks to the many versions and optionals available, the TAEevo Tech chillers are the top of their category, allowing great application versatility and high degree of reliability. TAEevo Tech is therefore the best solution for all industrial applications that require high performance, continuous operation and reduction of management costs.